To volunteer or not to volunteer, that is the question! “I don’t have time for that,” is the usual answer that people give when asked about volunteering. In today’s world, is it true that we have all placed too much on our plates and often don't have the time to ‘give’ away? Or is it just that our mindset around keywords like volunteering and community services, may not be associated with a positive experience? Take note that we always begin with volunteering. It provides the young adult with autism or a learning difference with a starting point that can develop an individual’s skills and confidence that over time will increase their passion and eventually land them paid employment. It is important to keep in mind that sometimes our desires do not always match-up with our abilities, but that does not mean we cannot find a creative way to try and find a compromise between the two, and settle into a place that is both rewarding and employable. Here is a story of a young adult from one of our centers: *Holly is diagnosed with ASD, ADD and had physical ailments that affected her mobility. She volunteered for every community service opportunity that was made available at the center. She even provided leadership in developing some herself, including a Thanksgiving Food Drive and raising funds for Wounded Warriors. Her attitude was exemplary, which made her a role model to her peers and staff. Because of our partnership with several community organizations, Holly’s hard work was also seen by others, and little did she realize that she was networking through her positive social encounters. One day, we received a call from a company in the community, and they asked Holly to join their team. She is currently interning, gaining skills, and in line for a paid position! When asked what she learned from the experiences of volunteering, she responded that it made her feel like a more sensible citizen when helping others. She was quick to add that those opportunities, now noted on her resume, showed future employers her true personality, something she was often too shy to discuss in an interview. Outside of CIP staff's experiences with volunteering -- both in our professional as well as personal lives -- and witnessing the positive effects it has on others, there have also been many research studies that demonstrate the impact of volunteerism in a society. Simons & Clearly (2010)2 evaluated the influence of a service-learning course with college-age students. 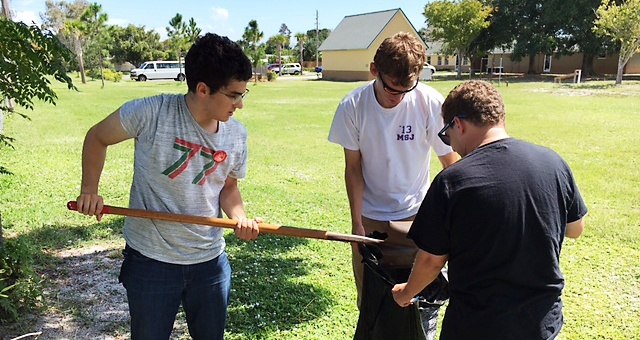 Their study findings suggested that service learning contributed to the student's overall academic education, as well as personal and social development. Some studies indicate that the simple act of helping others will boost one’s confidence, happiness, and longevity3. McCabe, White, Obst (2007)4 noted that younger volunteers now comprise a significant portion of the community service population. These opportunities benefit young adults through the development of social networks and social cohesion. So, ask not what others can do for you, but, rather, what you can do for others! 4McCabe, Tamara L., White, Katherine M., & Obst, Patricia L. (2007) The importance of volunteering functions to university students. Australian Journal of Volunteering, 12(2), pp. 50-58. 1McManmon, Michael. (2018). MPLOY A Job Readiness Workbook. Jessica Kingsley Publishing. *Name changed to protect the identity of the student.